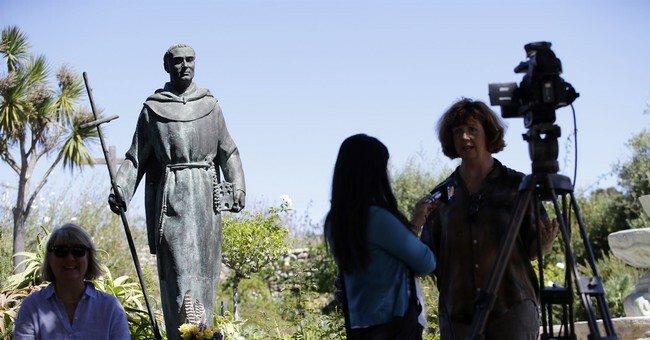 According to an announcement from the university earlier this week, Stanford will soon be removing Junipero Serra’s name from a number of campus buildings and areas. Father Junipero Serra is best known for being the 18th-century founder of the California missions. He was canonized a saint by the Catholic Church in 2015. Raikes also expressed concern that Native Americans might be upset by on-campus references to Father Serra. “The committee called for renaming several features on campus that recognize someone who had no direct role in Stanford’s history and lived a century before the university was even founded, yet whose role as the recognized leader of the mission system provides an acute reminder to our Native American community of the profound impact of the mission system on indigenous peoples,” Raikes said. Serra Mall was originally named after the well-known Franciscan priest and friar in 1891, and was rooted in the Stanford founders’ desire to honor the cultural legacy of the region. The university’s architecture was also influenced by the “mission revival” phenomenon typical of that period. The Junipero dormitory within Wilbur Hall will not be renamed, as it is allegedly named after a juniper tree and not Junipero Serra. Stanford will, however, look for opportunities to “clarify” the meaning of its name.